If you need a custom fitted mouth guard call Peninsula Dental Care (03) 5981 2255 to make an appointment. At the first appointment we will make a model of your mouth. This is an impression of your mouth that is used to make the mouth guard. You can choose from clear, one colour or multiple coloured mouth guards. If you have private health insurance, you just pay the gap. 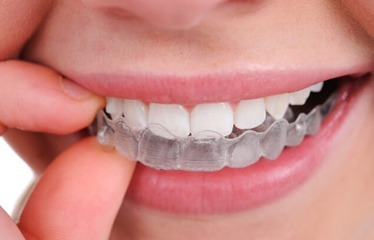 At the first appointment we will organise a return time to pick up your custom mouth guard. It usually takes about a week to make. Looking for a dental clinic on the Mornington Peninsula that can determine whether a Mouth Guard is suitable for you? Contact us today on 03 5981 2255 or book online peninsuladentalcare.com.au for a consult so that we can assess your suitability.